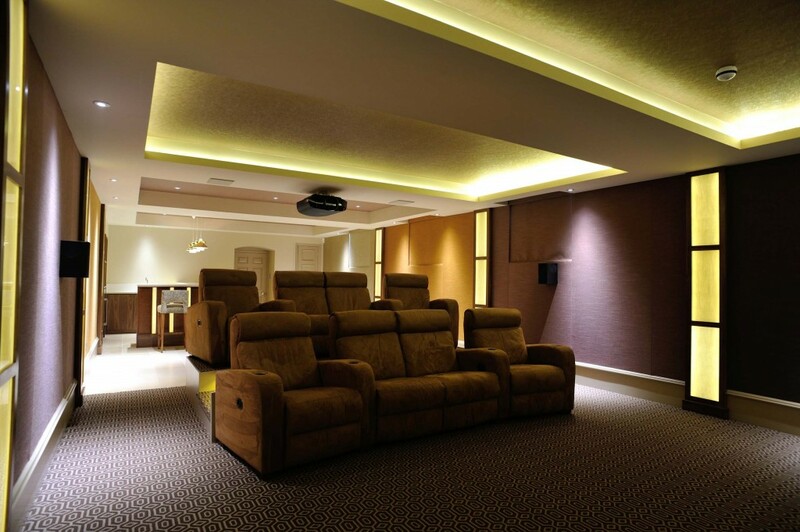 The acoustic and insulation qualities of fabric walling make it perfect to block out unwanted noise in rooms such as private cinema rooms, music rooms and bedrooms. 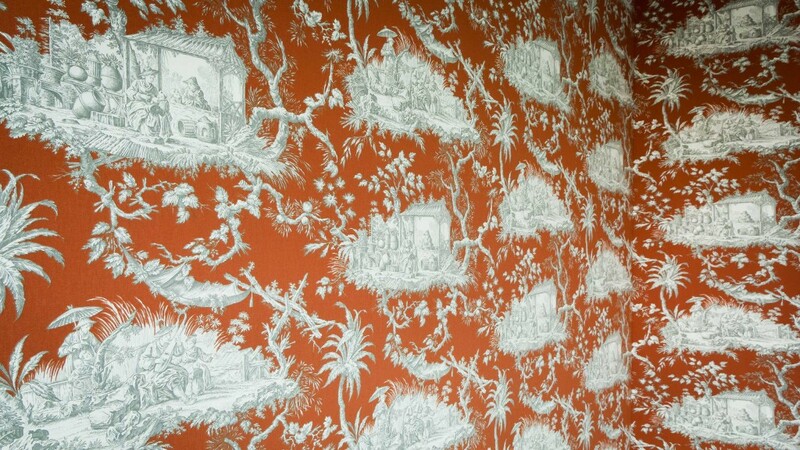 There are two finishes available for fabric walling; the traditional and invisible finish. The traditional finish uses a ‘braid piping’ or ‘double piping’, as part of the decorative process around skirting boards, architraves and fireplaces. The invisible finish does not require the latter and therefore is very popular, as it is offers a much more contemporary finish. Fabric stretched on walls should sit flush to the existing wall. The finished look should resemble a very opulent wallpaper. No gaps should be felt when the walls are touched. The fabric should be perfectly stretched and not sag when touched or over time. 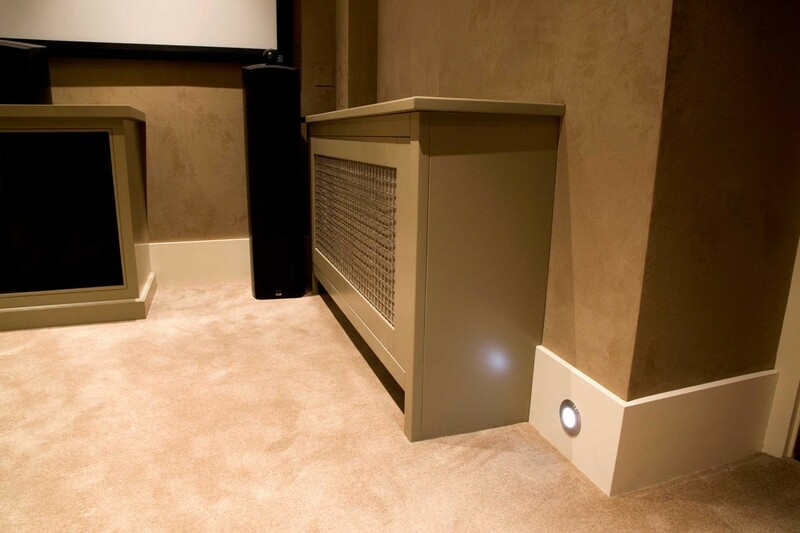 With both techniques all electrical outlets such as plugs, sockets and lights need to be brought forward for a finish that sits level and flat with the fabric. Both pattern and plain fabrics can be used. For the patterned fabrics, all the repeats should perfectly match and follow the original design of the fabric. 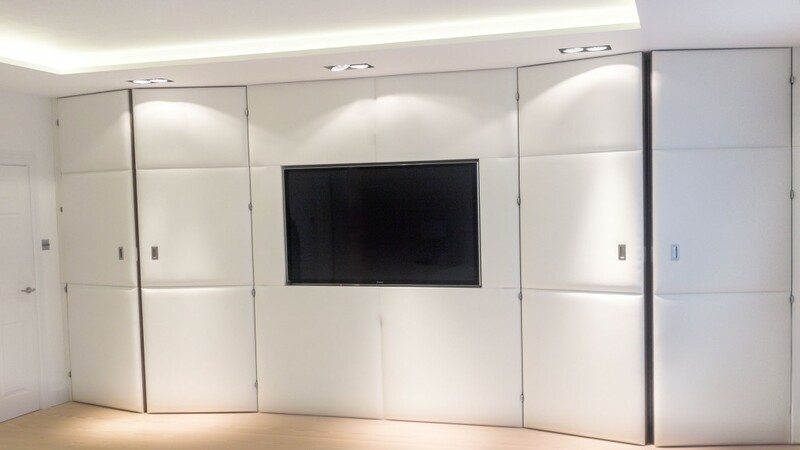 Our modern technique for stretching fabric on the walls is well-known and renowned within the design industry.